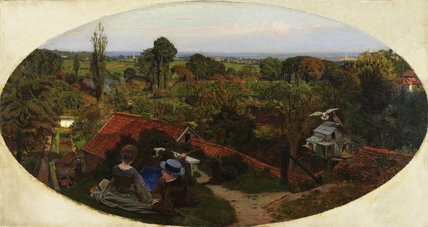 A man and a woman sit in the bottom left corner looking out at a landscape scene. A dog sits next to the young man and there is a dovecote on the right. Presented by the Public Picture Gallery Fund, 1916.